Are you a smartphone photographer or do you still use a classic digital camera? Smartphones have improved dramatically during the last few years and thanks to artificial intelligence can successfully compete with classic digital cameras. In fact, pictures taken by modern quality smartphones are (in some concerns) already better than photographs taken with recent compact digital cameras. The AI understands the scene before you press the "shutter button", processes separately highlights and shadows allowing a dynamic range hardly achievable even with large sensors. It knows what is foreground and what is background thus faking a shallow DoF, can fix other technology limitations etc. Classic digital cameras still make sense though. They're much faster in operation, better in handling, allow longer focal lengths and the images are more truthful - not so computational as with smartphones. SONY DSC-R1 (that giant in the attached picture) is a really huge bridge camera from 2005. While very slow in storing pictures (JPEG+RAW) and not suitable for low light photography (it's a CMOS ~APS-C sized sensor but a very old one), its Carl Zeiss lens is excellent and landscape/architecture photographs taken by this camera still look awesome. Due to a limited zoom range 24-120mm eq. it's not ideal for shooting streetlight details but I use it even this way as I often have it as the only camera with me. NIKON Coolpix S01 (the lilliput in the picture) is my "spy" compact camera. It's so tiny that you can literally hide it in your palm. The image quality with the tiny 1/3" sensor and the slow lens is rather poor, even worse than smartphones some 3-5 years ago. Not used very often (usually only a backup camera) for taking LG pictures but it helped me in some situations. PENTAX K-S1 is my DSLR. Small, lightweight, decent quality. I currently have only three lenses - manual prime lenses 24/2.8 and 135/2.5 (from 1970's - they're very good but you need to adjust focus and exposure manually) and a modern auto-focus zoom lens 50-200/4-5.6 - not so sharp as those manual lenses. All focal lengths have to be multiplied by 1.5 as the camera is APS-C. My previous DSLR (used until recently) was K-m. Some pictures have been taken with my wife's FUJIFILM X30 - while travelling we usually have only one camera with us and I don't force her to learn my cameras. UPDATE: Attached picture replaced to show all three cameras (taken by the X30). I use a mix of both a Smartphone (AT&T Samsung Galaxy Mega 6.3) and a traditional digital camera (Canon PowerShot A550). I don't bring the camera every where so when I am out I mostly use the camera on the Samsung Galaxy Mega which does not take the best pictures. However the Canon camera takes excellent pictures and is very easy to get a great picture with. I used to have a Kodak DX4900 that camera was very finicky and therefore it was difficult to obtain a decent picture. I use Canon PowerShot SX150 IS and use it to capture mainly lighting, but also air conditioners in action. I used to use my LG Aristo 2 for most of my pictures but recently i got a Canon Powershot SX420 IS and i've been using it for all of my outdoor photos. Re: What type of camera do you use? « Reply #4 on: January 09, 2019, 12:44:27 PM » Author: Max. I know exactly what you mean! There's always a risk you find an old beauty in a mint state for a few bucks. I try to resist the urge as I know that it would just collect dust. The only digital camera I keep out of nostalgia and don't use is my first digital camera Epson PhotoPC 600 from 1997. While almost 22 years old, it still works, taking pretty "punk" images. As for the Li-ions - can't you just charge them with any low current charger using crocodile clips? The only thing you must observe is the battery polarity. Maybe an USB port could be also an option...? Alternatively you can find a smaller Li-ion and try to fit it to the battery slot using a padding. That's quite an impressive set, Max! Looks like FujiFilm MILC have an option for any kind of photography. 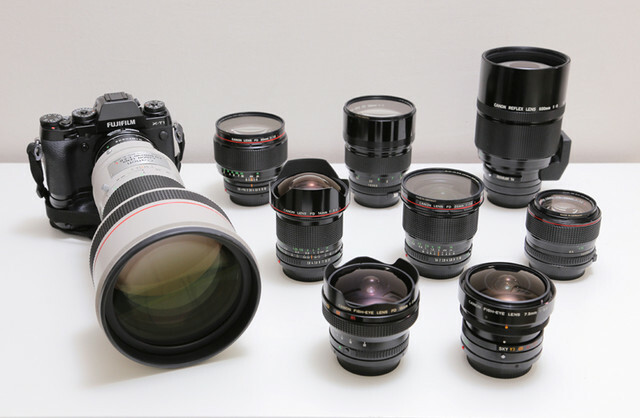 Let me guess what lens you use for your rare lamps pictures. Isn't it something like an XF 90mm f/2,0 R LM WR? Re: What type of camera do you use? « Reply #6 on: January 09, 2019, 07:59:31 PM » Author: Cole D.
I normally use my smartphone to take photos. I have also a Kodak C643 digital camera from 2007 which I used to take all of my pictures with before, but I don't use it these days. To me though, I felt like the digital camera took better pictures. I might be getting a new smartphone this year so it will probably have a better camera. Re: What type of camera do you use? « Reply #8 on: January 10, 2019, 11:24:23 AM » Author: Max. Thanks Adam. Nowadays, with all the adapters available out there, you can fit any old lens you want to MILCs. As for the system I used in order to get the pictures of my old and rare lamps, this is a bit complicated. My photo archives are about a decade old now and I used a variety of cameras during this time period. From 2014 to now I'm using the X-T1 with the XF 18-135/3.5-5.6 (my copy of this lens is pretty good). Before 2014 I used the Canon 6D with the EF 24-105/4.0, and before 2012 I used the Canon 450D with the EF-S 18-200/3.5-5.6. After 2020-21 I'll move back to full frame, certainly with the Nikon Z system. I mostly use my iPhone, since it's almost always at hand. My favorite is my old Canon Powershot S3-IS. Although it's 12 years old and a little lacking in the megapixles, it still takes great pictures. It has a great combination of simplicity and compact size with functionality. My other camera is a Fuji FinePix XP60 waterproof camera. Before phone cameras became decent, I'd carry it when I traveled because it was compact and durable. I haven't taken many lighting photos with it.